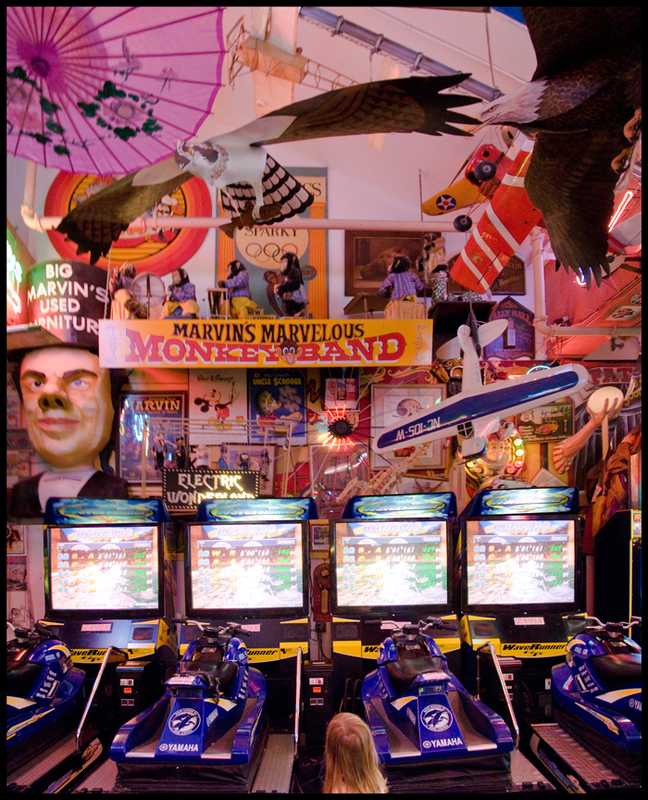 When we lived in San Francisco, our favorite excuse to grab an In-N-Out Burger was to go down to Fisherman's Wharf on the pretense of visiting the Musee Mechanique, a huge collection of old-timey arcade games and animatronics houses in one of the old piers. We'd raid the couch cushions for nickels and dimes and waste away part of an afternoon in there before filling our stomachs at the only location of California's famous burger franchise in the city. 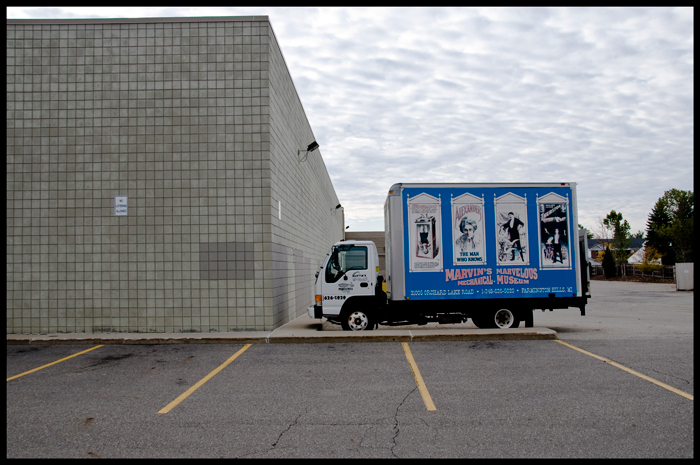 It's a shame then, that we've lived in Detroit for more than three years and never made the trek out to the suburban hinterlands to visit Marvin's Marvelous Mechanical Museum. 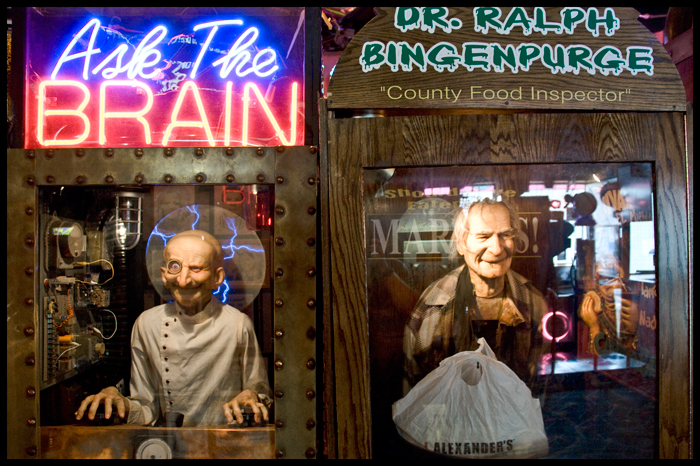 This Marvin guy has a massive collection of cool old amusements, and the place had the feel of an actual arcade rather than a stuffy museum. 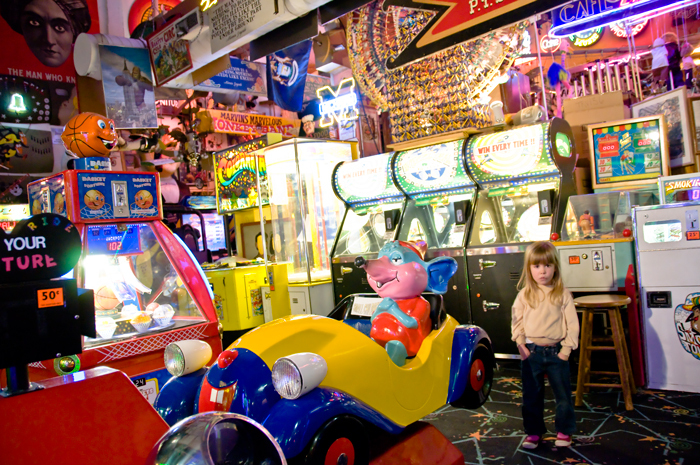 After an initial period with both kids clinging to me in fear of all the creepy stuff up on the walls and inside the arcade cases, we had a lot of fun there (especially once my daughter realized you could earn tickets playing certain games which could be exchanged for PRIZES). It was a great way to spend a cold, rainy fall day. He really barfs. We paid 50 cents to watch him do it. Later, we watched an employee peel back his face and pour some corn syrup and other stuff down the face of the terminator thing underneath *shiver*.